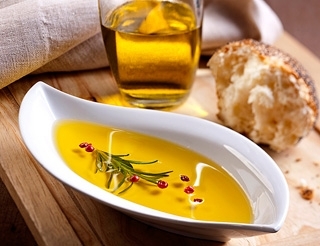 The study showed consumers need more information to help them understand choices in olive oil. It’s touted as the “healthy oil." Does that hold true for cooking and eating raw? It adds a range of flavors to food. Just what is EVOO and should you pay more for it? You can choose “grassy” or “peppery” olive oil. But what does that mean? How can you tell if olive oils are adulterated with lesser-grade oils, or oils from entirely different plants? A new survey, spearheaded by Dr. Selina Wang at the Olive Center at UC Davis, shows that consumers need more information about olive oil in order to make informed decisions. Consumers were asked a number of questions about olive oil. Surprisingly — or maybe not — consumers thought they know more about olive oil than they actually do. Many consumers aren’t savvy about cooking with olive oil or assessing its tastes and qualities. Reading the survey results will provide consumers with a lot of information about olive oil’s attributes and will help consumers make better purchasing choices.